ötli! your choice was ever such perfect timing, on jane's corner view, hosted by francesca. 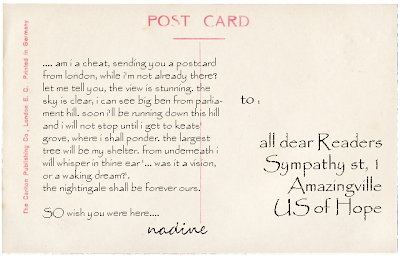 I love "real" postcards. Thank you so much! What a cool idea! Thank you! Very Interesting. I pondered whether to show the backside of a postcard or two, for the notes but also the franked stamps. ha-ha! i like this "anticipatory tourism"! 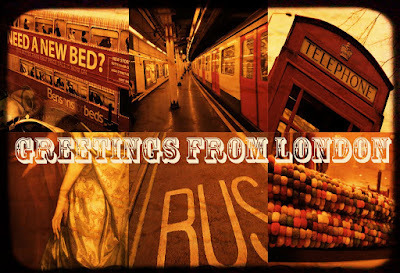 A postcard from your future travels! Now there's a concept! 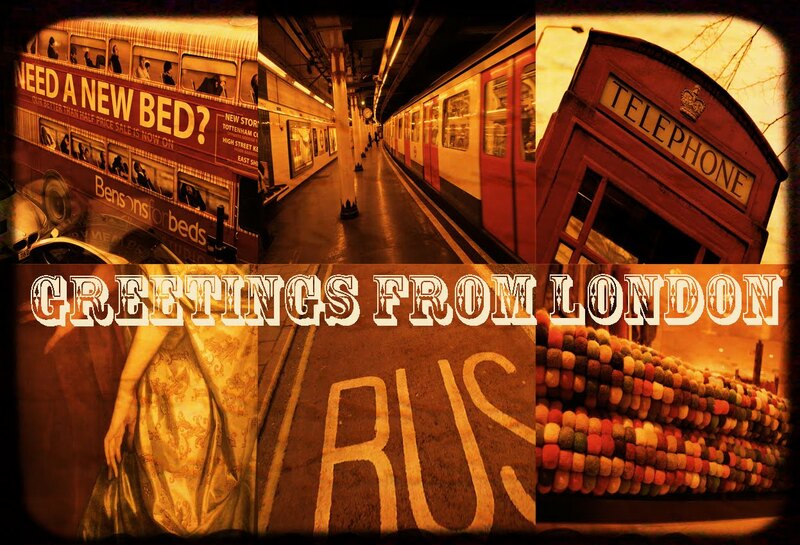 I hope you do encounter Keats and many poetic waking dreams on your trip! You made me smile - thanks! 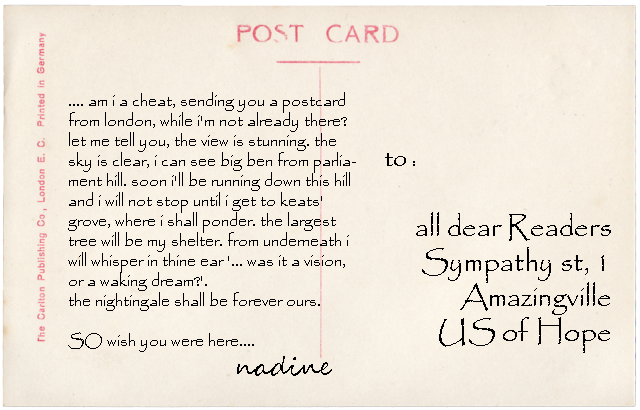 Oh Nadine, you are so lucky to be visiting London! I haven't been in years. I too long for the anticipation when a postcard shows up on your doorstep. We do have that kind of thrill when orders come in (of photographs, of material we use in our art, etcetera), but the kindness in the gesture of sending one another a postcard, tickles another kind of anticipation. "Sympathy Street, Amazingville, US of Hope"---quite a creative address--sounds like a lovely place to live. :>) I like how your mind works--delightful idea! I'm so jealous, I love LONDON! ...but so happy for you :^) Take care and have a wonderful time! Great idea ;) Have a nice evening. I still can't tell, were you really in London?